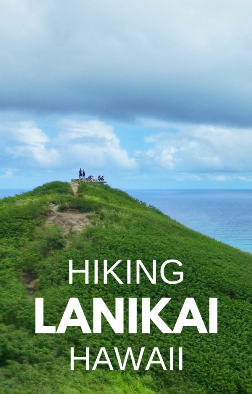 Lanikai Pillbox Hike: Best Oahu hikes with views of Kailua Bay :: map + directions :: oahu hawaii. oahu hikes. 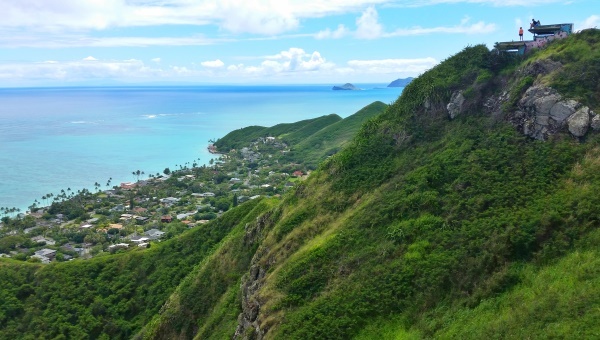 The Lanikai Pillbox Hike is another hike to do when you’re looking to get away from Waikiki for a day. And it can be a perfect day to head to the Kailua area of Oahu, where Lanikai is located. Start your day off in the morning, do the pillbox hike (or the full ridge trail if you’re ambitious! ), head into Kailua town for lunch, then relax for the rest of the day at the pristine beach. Lanikai Beach has been named one of the best beaches in the world. Kailua is about a 30-40 minute drive from Waikiki. But Kailua has been known to get traffic congested as it becomes more and more popular for tourists looking to get away from Waikiki. Kailua is where President Obama and the First Family stayed as the “Winter White House” when they went to Hawaii. A hike up to one or more of the pillboxes in Lanikai is another hike that will offer you stunning coastal views on Oahu. Most people do not go past the second pillbox. Some may not go past the first pillbox because that’s where you can get the best coastal views since it’s the closest pillbox to the ocean. So it’s common to go to one or two pillboxes, and then head back down. This is the short version of the hike, and you’ll get stunning views even if you don’t do the full trail. But if you are up for a longer hike, you can take the path all the way to the other end of the trail. 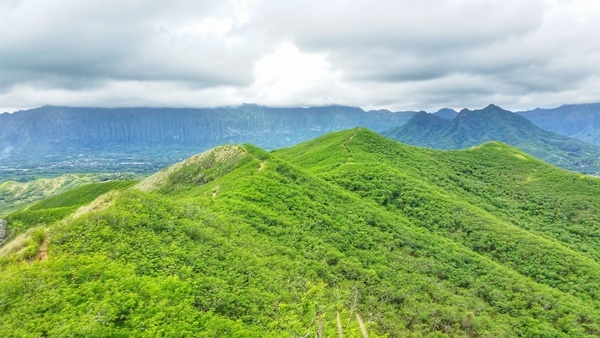 You are basically hiking along the ridge, which is why the name of the trail is the Kaiwa Ridge Trail. When people refer to the Lanikai Pillbox Hike, they are usually referring to a portion of the Kaiwa Ridge Trail. 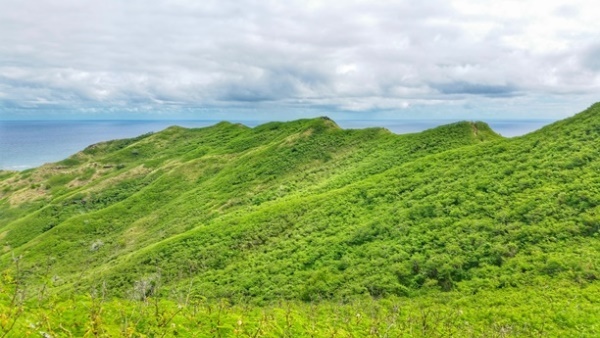 Most people who are doing the Lanikai Pillbox Hike may not even realize they are doing the Kaiwa Ridge Trail, because the Kaiwa Ridge name is lesser known. With the typical pillbox hike, you don’t hike much along the ridge, except to get to the second pillbox. Because it does not loop around, you would have to make it an out and back hike if you drive to Kailua. 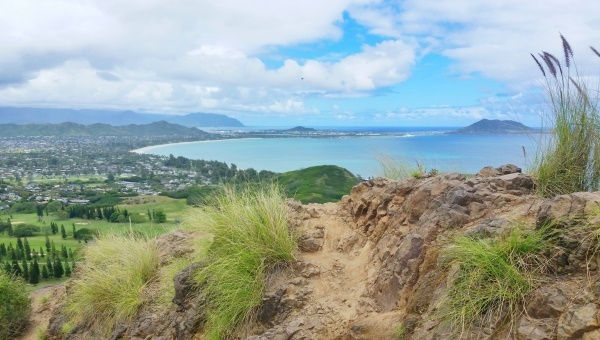 If you’re taking the bus to Kailua, you can get away with hiking one way! When doing the full ridge hike as an out and back, as you’re nearing the end of the trail, instead of taking the full trail all the way down to where it drops you to the road, you can turn around at the point where the trail starts the final descent down to the road. Basically this keeps you on “top” of the ridge. Or, of course you could turn around at any point! ? But it would be a good plan to turn around just before the main descent! It can get a little steep with loose gravel, which if you continue fully, you’d go down it, and then back up it. It just depends on how much work you want to get in. ? The popular entrance to the pillbox hike, ocean side, is walkable to Lanikai Beach. It’s about a 5 minute walk. There are a couple of minor things to think about in doing the hike and beach in succession. First, you’ll want to think about food. Second, there are no facilities in the vicinity, so no bathrooms nearby. 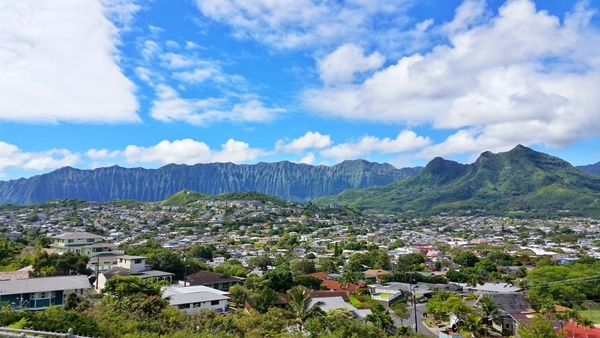 So instead of going straight to Lanikai Beach after your hike, maybe you’ll want to head into town in Kailua to load up on food either at a grocery store for picnic food or to go to a restaurant, before heading off to the beach. (Give a try to Lanikai Juice for some smoothies!) Stopping by Kailua Beach Park is another good option because it has beach facilities. If you’ve decided to head to Kailua town after your hike, consider starting the hike at the less popular trail entry that’s away from the ocean. See this Lanikai map, also shown below, for better understanding of the layout! Starting on the less popular trail entry makes for easier parking, and it might make for a slightly easier drive into Kailua town too. (You will be parking on residential streets so park at your own risk.) As for the hike, make your turnaround point once you’ve gotten to all the pillboxes! Also to note, you’ll see on the map what looks like a road between the two trail entrances, but this is a private drive and is inaccessible to the public. So you won’t be able to take this flat road to loop back to your starting point. The trail to start/finish on both ends of the trail may have steep portions with loose gravel. As with many hikes on Oahu, it may be best to avoid doing this trail after it’s rained. If you are taking the bus to Lanikai and are up for the longer version of the hike, start at the less popular entrance of the trail. That way, when you’re done with the trail, you will pretty much be right at Lanikai Beach! 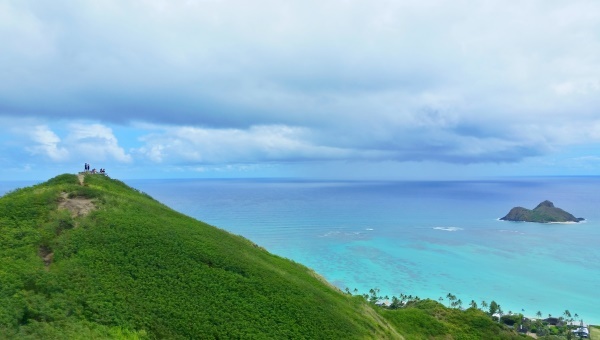 See more tips for taking the bus to the Lanikai Pillbox Hike. 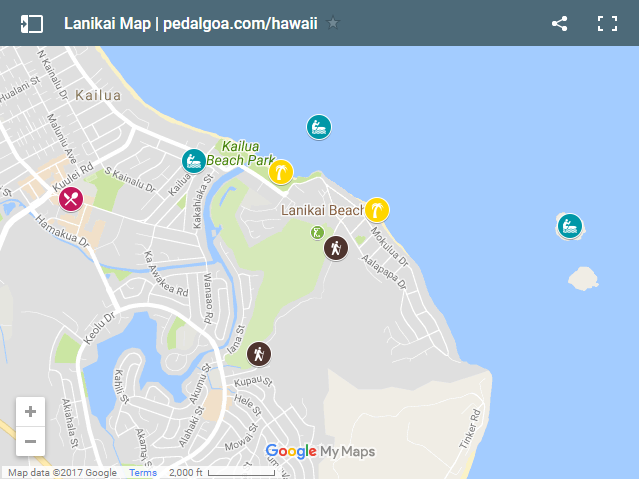 Plan your trip to Lanikai using the map of Lanikai below!